Background/Purpose: The 2015 ACR Workforce study updated the current and projected adult rheumatology workforce for the next 15 years. 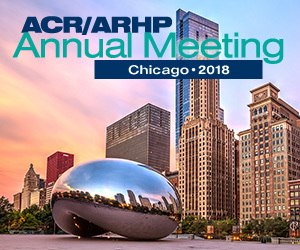 Methods: The 2015 ACR/ARHP Workforce Study was completed using several primary and secondary data sources, including, ACR member database, state licensure registries, 2005 ACR workforce study, professional organizations, and other medical literature. These data were supplemented with a web-based survey about work settings, practice patterns, retirement planning, and demographics. Utilizing an integrated workforce modeling methodology, supply and demand projections were computed for adult rheumatologists from 2015-2030. The factors affecting supply included the current adult rheumatology workforce, demographic changes, the number completing fellowships, retirement trends, patient workload and practice settings. Multivariate regression modeling was used to determine significant factors affecting demand. These included healthcare utilization, provider practice trends, disease prevalence, population demographics, per capita income and access to care trends. Clinical FTE was defined as 1.0 FTE for private practice and 0.5 FTE for academic practice. It was assumed that 80% of the adult rheumatology workforce was in private practice vs. 20% in academic practice. Results: The 2015 ACR current adult workforce is estimated to be 5,595 providers (4,497 Clinical FTE). A comparison of the actual vs. clinical FTE projections from 2015 through 2030 are presented in Figure 1. The estimated excess demand for 2015 is 1,118 (6,115 demand-4,997 supply) which equates to an excess demand of approximately 36%. By 2030, the Clinical FTE is projected to be 3,455, a 31% decrease from 2015. A projected demand of 8,184 translates into an excess demand of 4,729 (138% increase) from 2015. Projected trends are similar to those from the 2005 workforce study (Figure 2). These trends are likely due to increase in aging population/retirements, coupled with the decrease in clinical FTE relative to increases in number of females, part-time workers, and millennials. Conclusion: The rheumatology workforce projections reflect a significant shift in the mix of the future workforce by 2030. Over the next 15 years, baby boomer retirements, a millennial predominance, and a female gender shift, will parallel an increased demand in adult rheumatology care. Regional and innovative strategies will be necessary to manage access to care and reduce barriers to care for rheumatology patients. Disclosure: D. Battafarano, None; S. Monrad, None; J. Fitzgerald, None; M. Bolster, Johnson and Johnson, 1,Eli Lilly and Company, 2,RRF Amgen Fellowship Award, 9; C. Deal, None; A. R. Bass, None; R. Molina, None; A. R. Erickson, Amgen, 2; B. J. Smith, American Board of Internal Medicine, 9; K. B. Jones, None; J. S. Hausmann, None; V. Gokenbach, None; K. Lewis, None; M. Ditmyer, None. Battafarano D, Monrad S, Fitzgerald J, Bolster M, Deal C, Bass AR, Molina R, Erickson AR, Smith BJ, Jones KB, Hausmann JS, Gokenbach V, Lewis K, Ditmyer M. 2015 ACR/ARHP Workforce Study in the United States: Adult Rheumatologist Supply and Demand Projections for 2015-2030 [abstract]. Arthritis Rheumatol. 2016; 68 (suppl 10). https://acrabstracts.org/abstract/2015-acrarhp-workforce-study-in-the-united-states-adult-rheumatologist-supply-and-demand-projections-for-2015-2030/. Accessed April 18, 2019.